You don’t have to have slippery dentures anymore. 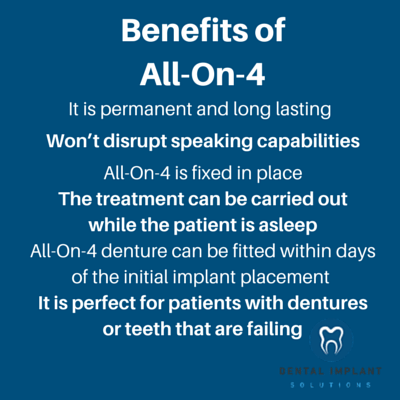 All-On-4 with Dr Michael Sempf at Dental Implant Solutions in Southport is a long-lasting solution to full-arch tooth loss. So how does the All-On-4 treatment work? The treatment requires the removal of remaining failed teeth along the arch (if there are any). The implants will then be placed. Your new denture can be fabricated and fixed within days of the placement of the implants. Once fitted, Dr Sempf will talk you through your hygiene routine and more, instructing you with how to care for your new denture. Enjoy eating what you like and speaking clearly with your new fixed All-On-4 denture. Who is a good candidate for the All-on-4 implant treatment? Some patients may not be able to afford 8-12 single implants. In situations such as these, All-On-4 may be recommended. Not all patients will be suitable for the treatment. Speak to Dr Sempf for more information. Is sedation available for the surgery? If you would prefer to sleep through your surgery, Dr Sempf can arrange for you to be administered general anaesthetic. This will put you in a deep sleep so that you won’t feel pain or be aware of your surroundings during surgery. How soon can I have a new smile with All-On-4? All-On-4 implants can be fitted with the secured denture as soon as the same day of the surgery. The treatment doesn’t require a long healing period before fitting unlike a single dental implant. Is there a high success rate for All-On-4? The success rate is excellent when this procedure is properly executed and the patient is a good candidate for this treatment. 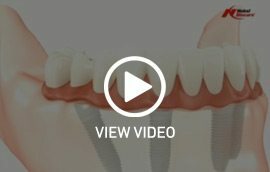 During your consultation with Dr Sempf, he will assess your jaw bone, gums and teeth and advise the most appropriate treatment for your unique case. Take a look at some real patient results by clicking here. Are you looking for an experienced dentist that can provide you with All-On-4 implants that look and act as natural teeth? Find out more about All-On-4 by organising an All-On-4 consultation with Dr Michael Sempf at Dental Implants Solutions in Southport today.